Depression is a mental illness that affects over 300 million people of all ages including children globally. And it turns to be a serious health condition that leads to even suicide if proper care and treatment are not given. The data also finds that it is more common in women than in men. Also one of the findings by the World Health Organization suggests that people who suffer from depression do not get proper recommended treatments. The same study reveals that in developed nations 50% of the population with the disorder does not get treatment and the estimates are as high as 80-90% for developing or low-income countries. Depression affects the daily life of individuals and could be a potential risk factor for serious illnesses like strokes, arthritis, diabetes, and varieties of cardiovascular diseases etc. Definitely, it’s a condition nobody wants to live with. There are not a single but multiple reasons for individuals to get depression. However, some of the main factors could be your family history, lifestyle, personality, stress due to multiple failures, stressful happenings in one's life etc. Certain medications and illnesses may also be major risk factors for developing depression. What Are The Major Signs And Symptoms Of Depression? If you experience any of the following symptoms every day for over a week you need to immediately consult a healthcare professional and get his advice. How Do Movies Help In Depression? Today you can get a movie about any topic you can dream for. They are filmed on real-life happenings, characters fighting with depression, adventures, thrillers, science, fiction etc. Watching movies helps you keep cool and motivated. It is also one of the easiest ways to keep you busy when negative thoughts start coming to your way. Here are 5 movies which are a lot of fun and help with depression. A 21st-century comedy-drama which nobody could really miss out. The duo characters (Tom Hanks and Gary Sinise) have played well. 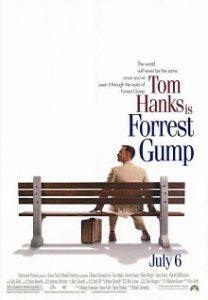 The lead character of Tom Hanks with nearly no specific traits achieves appreciations for whatever he does. This 142 minutes movie is for everyone who wants to get refreshed and cool. 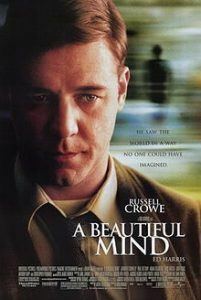 A must watch movie which is inspired by real-life events of John Nash who worked on Game Theory. It is a truly inspiring and motivational biography drama. Who did miss this movie? None, if you did you must immediately get all the sequels run on your PC. A good movie to watch and laugh aloud forgetting everything. 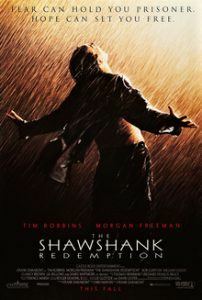 How does Andy Dufresne do this without telling anything to his close friend Red.? A good movie that shows the dedication of a person in achieving what he planned. What could be the best movie when you see a real-life personality struggling and finding his way to success? 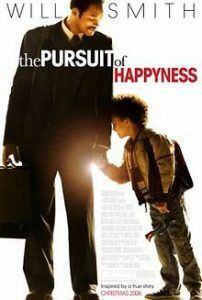 The film is based on the real-life happenings of Chris Gardner, an entrepreneur, and motivational speaker. If you experience any of the above symptoms you should never delay anymore meeting your doctor. The sooner you start your treatment, the sooner your condition improves. Today, there are many apps and resources available that could help you find out whether you’re under depression. Here is a simple 18 questions quiz by the psychcentral to find out whether you have any visible sign of depression. You can participate in the quiz and check the status of your mood and depression on a regular basis. Let us all stay together and fight for depression. Previous Post What are the side effects of taking too much magnesium? Next Post Is Ginger Good For Sore Throat?